Did you know you can print and cut on material that's larger than 8.5 x 11"? Yup! 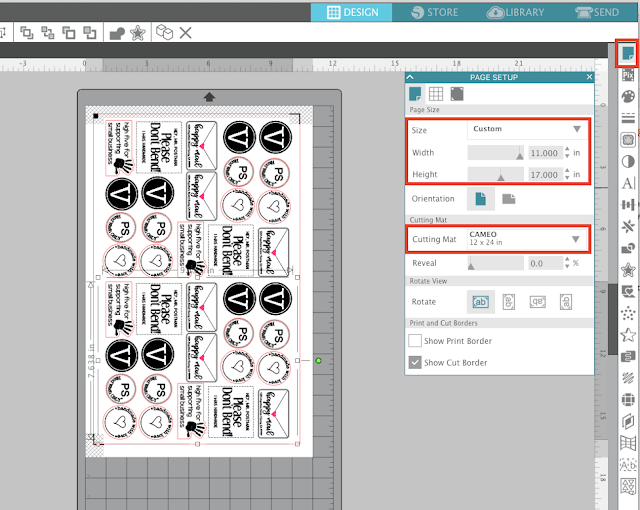 As long as you have a wide format printer, you can set up your Silhouette Studio to print and cut on larger paper which means you can print more stickers, more sticker sheets, larger print and cut projects, and bigger printable HTV or vinyl! I'm going to show you exactly how to do this using the Full 11x17" Sticker Sheets from Online Labels. These are available for both laser and inkjet printers! They are just like the smaller/standard size of my favorite Standard White Matte sticker sheets - only now I can print and cut on twice the print and cut area! 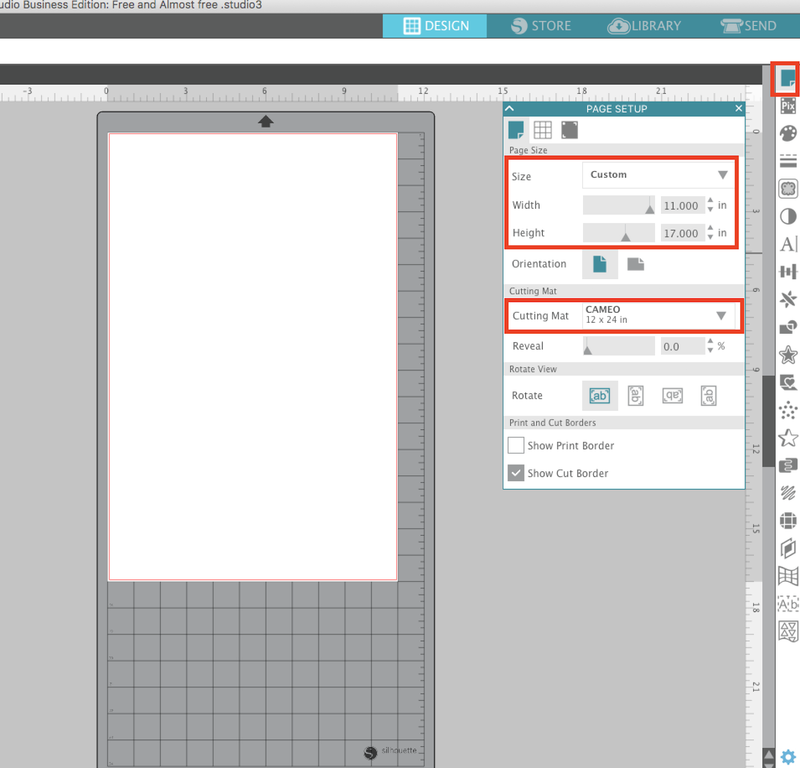 The first thing you want to do is open a new work area in Silhouette Studio. Open the Page Setup Panel and change the Page Size to Custom. Adjust the width and height to match your sticker paper size - in this case 11 inches is the width and 17 inches is the height. 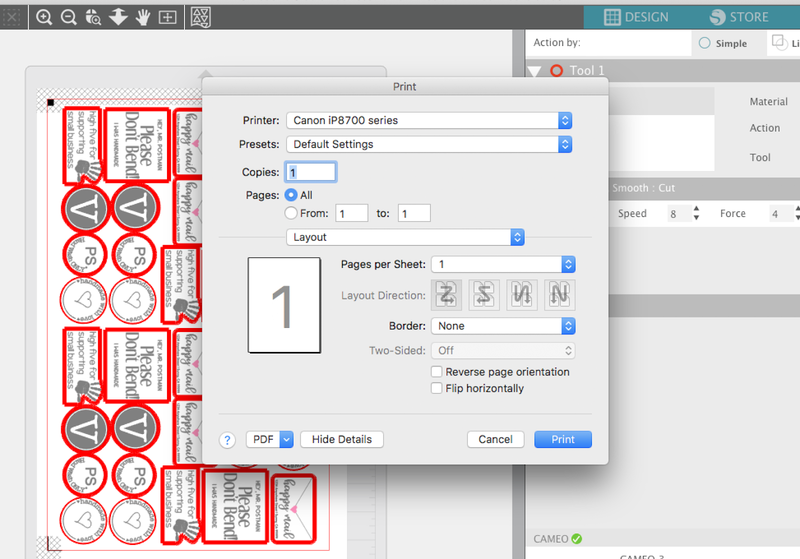 Further down the Page Setup panel you'll need to adjust the Cutting Mat size to 12x24. Alright now, click "M" or go to the Registration Marks tab and pick "Type 1" to turn on the registration marks. These are needed for Silhouette Print and Cut. You'll notice that just like with the standard 8.5 x 11, the registration marks are located in the top two corners and the bottom left. Add your sticker designs. 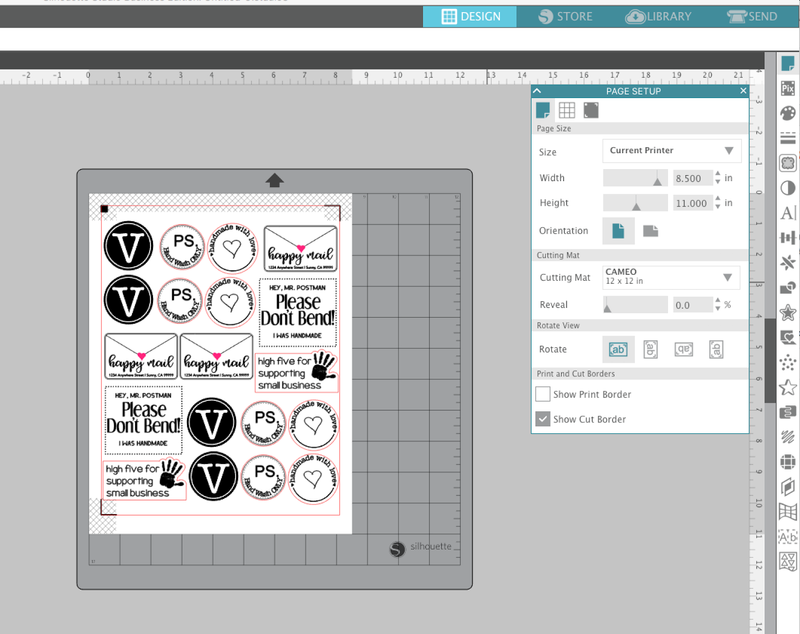 I'm going to print and cut this set of Small Business Happy Stickers that are a free set on the blog. But by using the 11 x 17" Standard White Full Sheet Sticker Sheets and rotating the sticker sheets sideways in Silhouette Studio, I can fit two sets. 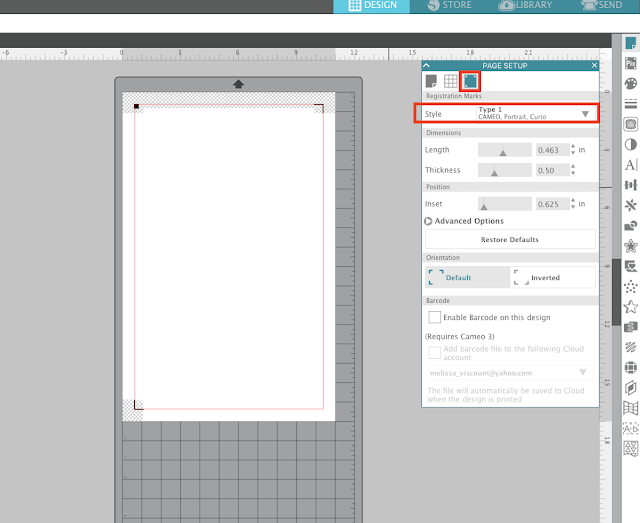 Now just hook up to your print and print like normal by clicking the Print icon along the top tool bar in Silhouette Studio. Place the printed sheet on your 12x24" Silhouette cutting mat. Feed the cutting mat with the sticker sheet on it, into the Silhouette CAMEO as you normally would and send the sticker sheet to cut from Silhouette Studio. High five!! 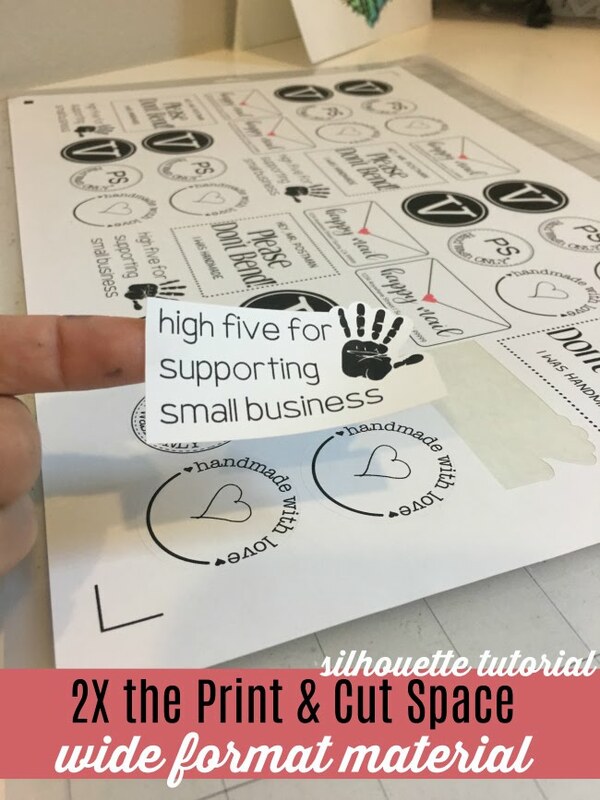 You did it...and you saved time and cut twice as many stickers at once by using the wide format and longer sticker sheets from Online Labels! Thank you for the tutorial. Question, which Cannon printer are you using? I was on Online Labels a few days ago looking for 11x17 sheets; thank you all the way from Bermuda!! !